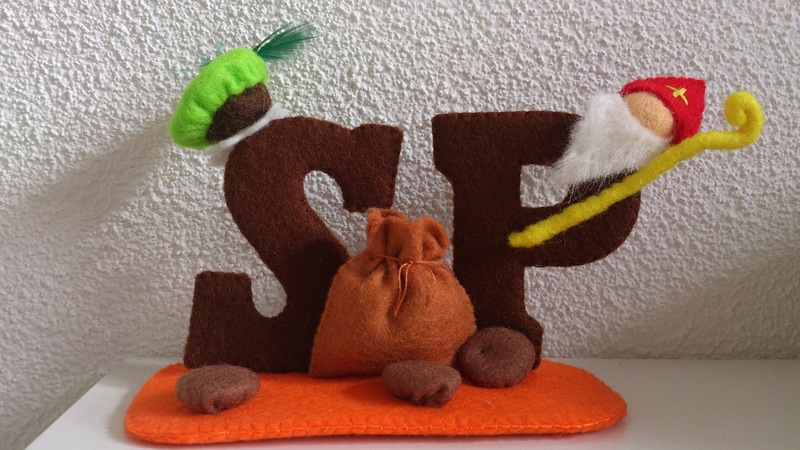 Let start this post with another cutie from my felt Sinterklaas collection that i'm making. Here are the letters with little faces on them!! Very much in love now.. I love the colors also.. It will get a wonderfull place in my heart shelf. Then I've been making a few felt gifts and send them around. The reciever was very happy with it..
Last week I finshed a order, and deliverd it. 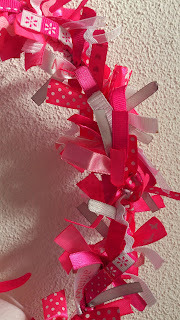 This is what I can show what I did with those 100 ribbons I talked about a while back. I can tell you before it was finsihed I cut 250 RIBBONS.. ... ... ... yes that much. 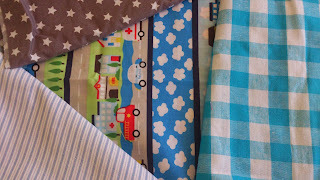 And now busy working on another order. Í'm trying to finish it this week. Friday a daycare her in town celebrated his 10th anniversary. I'm a member of the parents association, so agree to help. Noah had the first turn.. he became Spiderman..
Kira went looking for other colors, for her purle butterfly face ( so sorry Valérie no pic) .. lol!! They where having so much fun to come along too. I'm still cooking and baking, not much pic's here of that.. So i thought, I will show you what I made last night. Beef Wellington, Pom duchess, Mushroom sauce, Leek (prei) gratin. Lovely felt creations!! :) glad to know you had great fun with kids. wow beautiful creations..i love them so much..
glad you having so much fun. What a lot of fun crafting. You were the perfect person to be the face painter. Wonderful dinner at your house. Better than a restaurant! 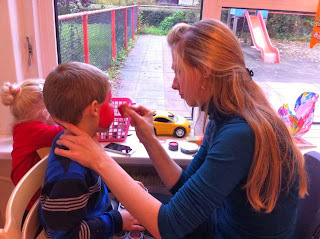 Annette wat een leuke Sint en Piet. Je maakt zulke leuke dingen van vilt. En wat je gekookt hebt?????? Mmmmmm lekker!!!!!! Wow! Annette--it looks like you are a gourmet cook in addition to being very creative! Just look at all those goodies (although, I will pass on the mushrooms--not my favorite food :). Lovely new additions to your Sinterklaas decorations and the little mushroom is very cute. So many ribbons--I'll bet your hand hurt after cutting 250!! 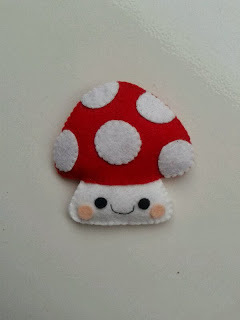 En wat een schattige paddestoel!